Perkaroma is a leading provider of breakroom supply delivery for businesses across the New York & New Jersey area. Whether you need healthy snacks for your employes, a premium coffee service, or fresh seasonal fruit, we can help. The breakroom is where your employees go to re-energize and revitalize, allowing them to be more productive and focused throughout the workday. This space can also be a place where companies can promote and maintain their brand, and at Perkaroma, we can help you do just that. We offer a comprehensive array of breakroom supplies and restocking services to businesses throughout New York and New Jersey. Get in touch with us today if to optimize your breakroom with our extensive product offerings and efficient Automatic Restocking systems. It should come as no surprise that a happy staff is a healthy staff, and as a business owner, it’s important that you lead by example. At Perkaroma, we can help you find the perfect supplies for your breakroom to ensure your employees are satisfied. Let’s take a look at a few popular breakroom options to consider for your space. Did you know that the human body is made up of 60 percent water? If this isn’t reason enough to invest in a water cooler or a water bottle delivery service, we don’t know what is. Dehydration can lead to a slew of issues like headaches and irritability, which is the last thing you want in your office. If you’re interested in managed breakroom services or you’d like to learn more about the water delivery options from Perkaroma, contact our team today. Poland Spring Sparkling Water (24 Count) – If you’re looking for a natural sparkling water that is free of calories and artificial sweeteners, you’ll love Poland Spring Sparkling Water. A smart and affordable alternative to sugary beverages, this sparkling water offers refreshing carbonation for a crisp and satisfying taste. La Croix Pineapple & Strawberry Sparkling Water – If you want a little more flavor with your sparkling beverages, consider stocking your breakroom with La Croix Pineapple & Strawberry Sparkling Water. This natural sparkling water is flavored with freshly cut slices of fruit and full of vitamins and antioxidants to keep your employees healthy. As a gluten-free, vegan, and kosher option, this is a must-have at the office. If you don’t currently offer free premium coffee to your employees, it’s time to start. There’s a reason why free coffee is a staple in offices across New York and New Jersey. Offering employees coffee in the workplace can result in happier, more productive employees. Some studies have found that just the sweet smell of coffee has been shown to reduce tension, and consuming the beverage can burn fat and lower your risk of a heart attack. Since coffee is a natural stimulant, it actually accelerates the messages between your brain and your body. As a result, it can improve complex functions like attention span, reaction time, and reasoning. At Perkaroma, we’re proud to offer some of the best premium coffee services to businesses and workplaces across New York, and we carry an array of Third Wave Coffees to keep your employees awake and happy. In short, Third Wave Coffee is known as the current movement among specialty coffee drinkers. Shop for office coffee online today. Including healthy food options in your breakroom is a great way to show your employees that you truly care about their health and wellbeing. When you provide healthy snacks for your staff, you can curb your workers’ hunger without having to worry about a mid-afternoon crash. Including options like whole grains, yogurt, nuts, and fresh vegetables is a great place to start. Whether you’re looking to have fresh fruit and vegetables delivered to your office every other week or you’re interested in ordering granola bars and oatmeal in bulk, Perkaroma can help you find all of the essentials for your breakroom. At Perkaroma, we understand that a clean business is a successful business, which is why we offer automatic restocking and automatic reordering options for all of our clients. We offer eco-friendly cleaning products as well as traditional cleaning chemicals and natural disinfectants to meet your needs. While cutlery and napkins may seem like a minor addition to your breakroom, these items can make a huge difference in the satisfaction of your employees. If you’re company is concerned with its carbon footprint, you will be happy to know that there are a plethora of green and compostable options available for forks, knives, spoons, and plates. 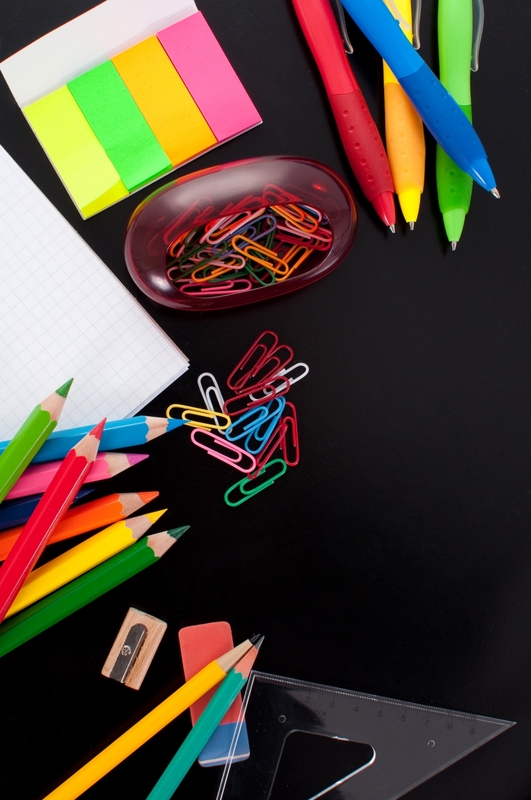 At Perkaroma, we carry affordable and high-quality office supplies for our New York and New Jersey clients. Whether you need calendars, personal organizers, measuring devices, staplers, or storage boxes, we’ve got you covered. We also carry a diverse selection of envelopes, desk accessories, and label makers. You may have already heard about high-flying Silicon Valley companies offering incredible perks for their employees. One of the perks at the top of the list is usually free food and beverages. About six years ago, it was estimated that Google spent more than $70 million a year providing free food and meals to its employees. Before you faint from hearing that number, we’re here to tell you that there are other affordable and effective ways to keep your breakroom well-stocked, and that’s exactly what the specialists at Perkaroma can help you with. There are many benefits to maintaining your breakroom. Let’s take a look at some of the biggest perks below. When you’re employees have an opportunity to take a break from their busy day by lounging in the breakroom, it can result in higher levels of productivity. You read that right. 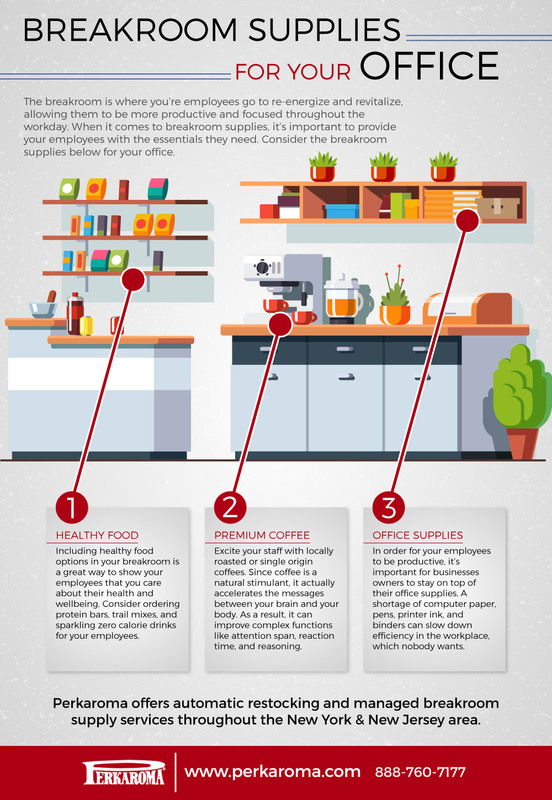 Providing your hardworking employees with a well-stocked breakroom can ensure that your staff doesn’t suffer from burnout. In addition, providing your staff with food and beverages can also reduce the amount of time your employees spend outside of the office. According to Psychology Today, workplace socializing can increase the overall productivity of an office by 10 to 15 percent! When employees get hungry, it’s very easy to run to the nearest fast-food chain for a quick bite. However, when you have free coffee and snacks for your office, you’re employees won’t feel inclined to leave the office every time they hit that one-o’clock energy dip. If you’re business is like most companies in New York, you probably have clients come to the office on a regular basis. Whether it be for conference meetings or new introductions, inviting clients to your office space can help to instill trust and confidence in your services. Companies that provide free coffee and snacks to customers usually have higher customer satisfaction than those who don’t. 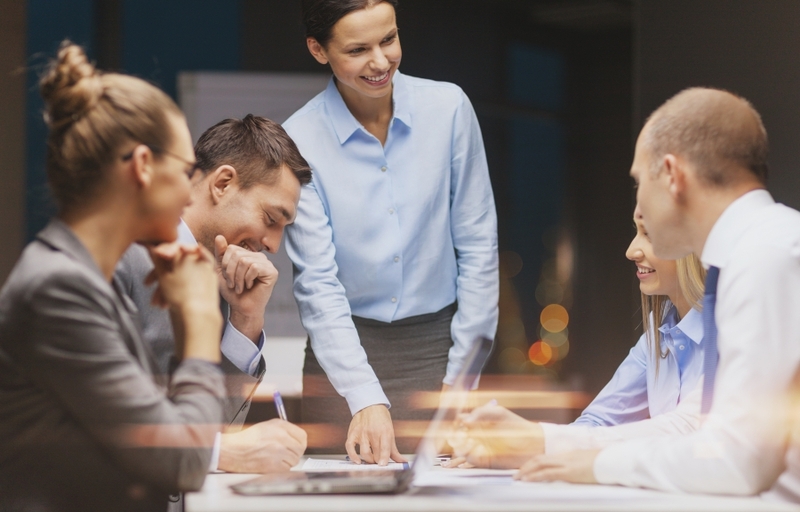 Many businesses thrive on employee collaboration. Employees who feel involved and valued at the workplace are prone to being happier, and providing them with a comfortable and inviting breakroom can really help when it comes to employee collaboration. A breakroom with comfortable furniture and good lighting will make employees feel welcomed in the space. By giving your staff a place to unwind, it can also result in better office morale. All business owners want to attract the top talent to their company. 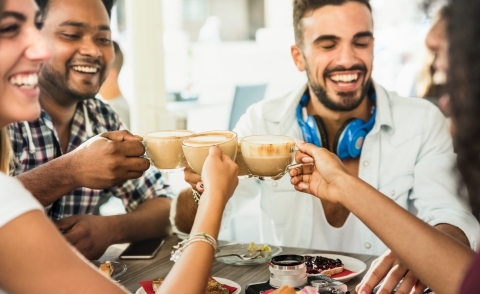 As society continues to move in a health conscious direction, employees everywhere are looking at company perks and benefits before deciding on a new employer. This is especially true in the case of millenials. When you offer things like free coffee, healthy snacks, and more, you’ll be surprised by how many more applicants you’ll receive. If you’re looking for an easy way to minimize employee sick days, offering an array of healthy and convenient snacks is the perfect way to do so. Stock your breakroom with fruits and vegetables, fresh juices, granola bars, nuts, and anything else your employees may want to munch or drink throughout the day. In fact, a recent study found that nearly half of all millenials and Gen-Xers prioritize healthy snacks in the breakroom. At Perkaroma, we understand how challenging it can be to create an inviting and functional breakroom on your own. That’s why we’ve compiled a list of tips to make your life a little easier. Make Your Breakroom Convenient – Rather than spreading your breakroom supplies throughout various closets and cabinets in the office, why not keep everything in one space? This will make it easier for your employees to find what they need, when they need it. By having all of the necessary amenities in your breakrooms, you can avoid headaches down the line. Be sure to stock up on coffee straws, napkins, paper towels, pens, notepads, printer paper, and the like so you’re always prepared for whatever the day throws your way. Make It A Fun Space – If your breakroom walls are white and bland, we recommend sprucing the space up a bit with a splash of color. Not sure what paint colors to choose? Use your company logo for inspiration! You can also leave games and crossword puzzles in the breakroom in case your staff wants to keep their mind stimulated while they eat their lunch or drink their morning coffee. Create A Relaxing Atmosphere – Your office breakroom should be a comfortable and relaxing environment, so your employees actually feel like they are taking a break when they are in it. From comfy leather couches to a community television, there are a few things you can do to promote relaxing in your space. If you need help turning your breakroom into a comfortable and relaxing environment, the professionals at Perkaroma can help. We carry a wonderful selection of office chairs, floor mats, stools, shelving units, and more. If you work in the New York or New Jersey area and you’re in need of a breakroom supply company to help you manage office supplies, cleaning supplies, and snacks, look no further than Perkaroma. Our motto is “we build a better workplace,” because we really do. Our staff has been analyzing and improving the office supply and breakroom restocking process for more than 50 years, and we offer restocking technology that can meet your unique needs. Company branded breakroom displays including custom napkin and utensil dispensers. Seasonal fruit and snack rotation. WiFi enabled soap dispensers that automatically reorder soap when low. A variety of Third Wave Coffees and brand rotation on a monthly or quarterly basis. Organic and natural snacks, beverages, shipping supplies, and cleaning products. If you’re interested in learning more about our unique office supply services and programs, or you have questions regarding our automatic restocking and managed breakroom offerings, feel free to contact our team today. We look forward to working with you!